AUTOMATIC PRODUCTION EQUIPMENT, INCORPORATED (A.P.E., INC.) is a full-service screw machine repair facility. We are committed to providing you with unsurpassed quality and service on any requirement you may have. Whether it is rebuilt equipment, or parts, A.P.E., Inc. is your partner in addressing those needs. 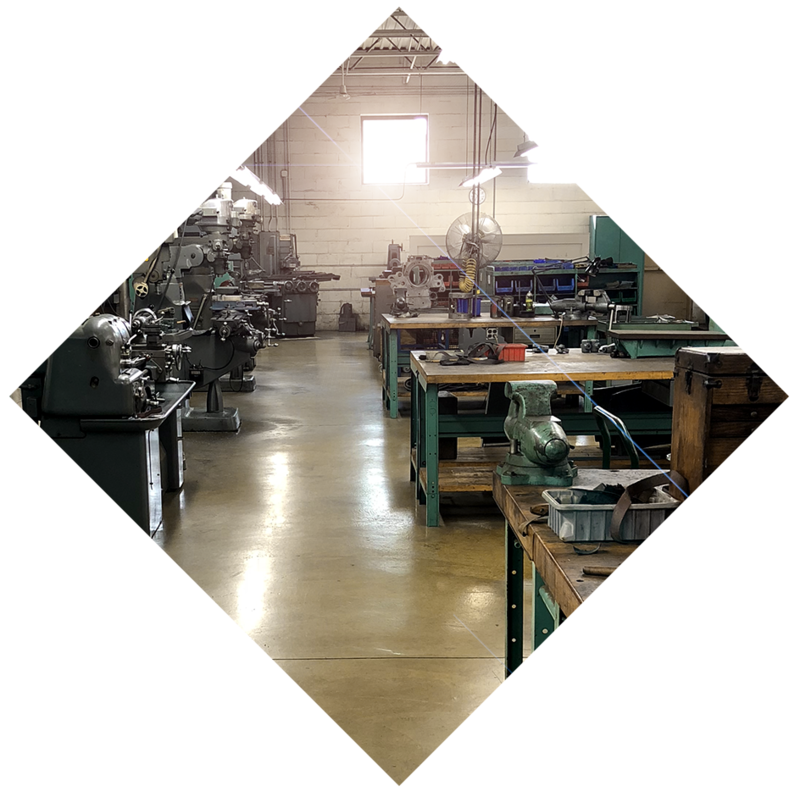 Founded in 1976 by Don Schmucker, the son of a screw machine company foreman, Automatic Production Equipment, Inc., has become the preeminent screw machine shop in the United States, offering rebuilding, repair parts, service, and training. 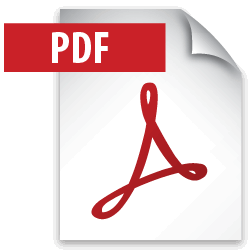 Over the past 43 years, A.P.E., Inc. has become an authorized distributor for a number of national and international machine and parts companies, including Brown & Sharpe, CJWinter, Davenport Machine, Geometric, Hardinge, Index, Lipe Automation Equipment, Logan Clutch, Quality Chaser, and Somma Tool. Due to our hardworking employees, and our commitment to customers and distributors, we have grown from a 5,000 square foot facility in Bensenville, to our 16,000 square foot state-of-the-art facility in Elk Grove Village, IL, that has been our home since 1991. Steve Hauswald, Senior Technician, and a graduate of Fenton High School, has been with A.P.E., Inc., since the company was founded in 1976. Gary Mikusch, Senior Technician and a fellow graduate of Fenton High School joined a short time later, along with Sales Manager, John Eckler, also of Fenton High School fame. Gonzalo Villegas, Senior Paint Technician, disassembles, prepares and paints machines. Gonzalo also maintains the entire facility and is an invaluable part of the team. Each of these employees has made A.P.E., Inc., what it is today. Automatic Production Equipment, Inc., would like to take this opportunity to renew our commitment to you and the entire screw machine community. Our commitment encompasses Quality Service and a Standard of Excellence. Automatic Production Equipment, Inc., maintains a staff of qualified personnel who are proud to assist you in resolving technical problems, and in providing rebuilding, repair parts and service in a prompt and cost effective manner. 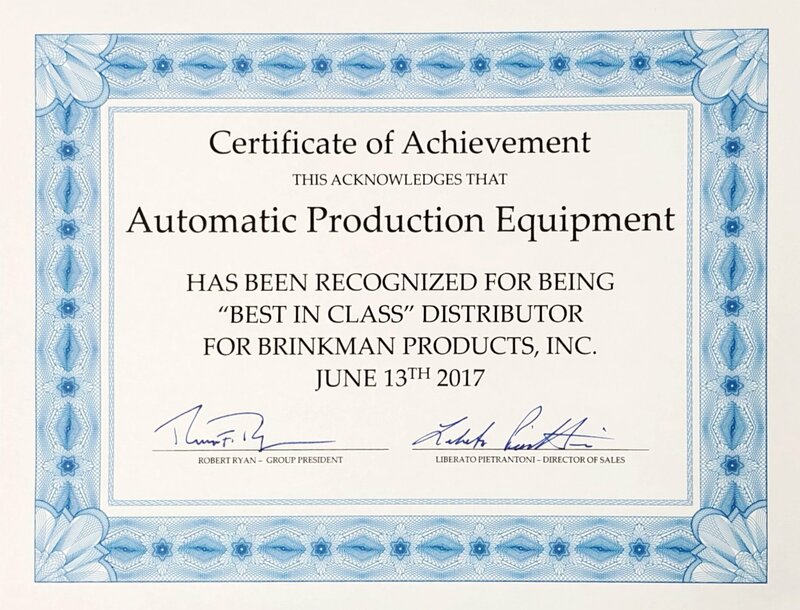 Automatic Production Equipment, Inc., which has served the machine industry over the past 43 years, is moving forward with products and services to better serve you, our Valued Customer. We look forward to sharing this commitment with you.